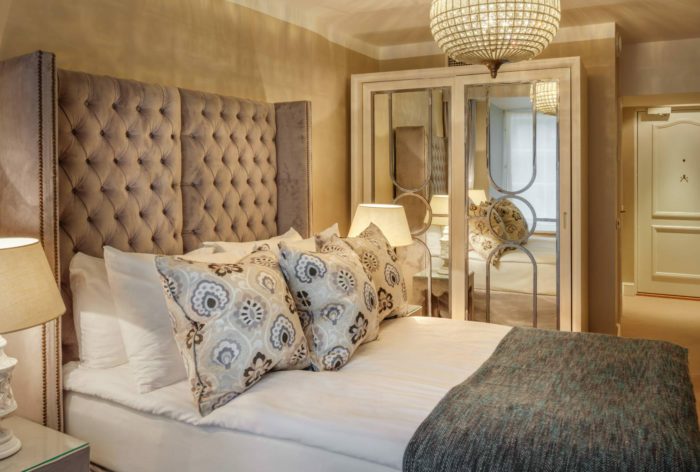 The comfortable, welcoming ambience of the Superior Double Room, together with our impeccable service, ensures that our guests will take many happy memories home with them. 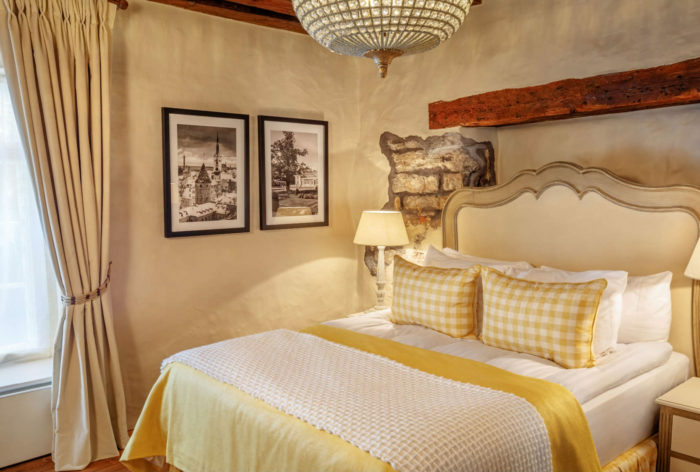 The Superior Double rooms are comfortable and appointed with double beds. 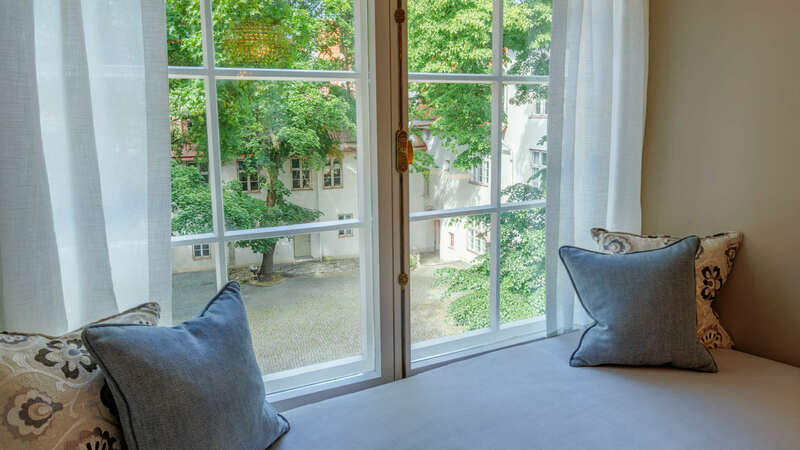 The rooms are located in the main building, and guests can enjoy views over the courtyard. Guests are sure to enjoy this comfortable deluxe room, which is equipped with all the amenities of a grand hotel. 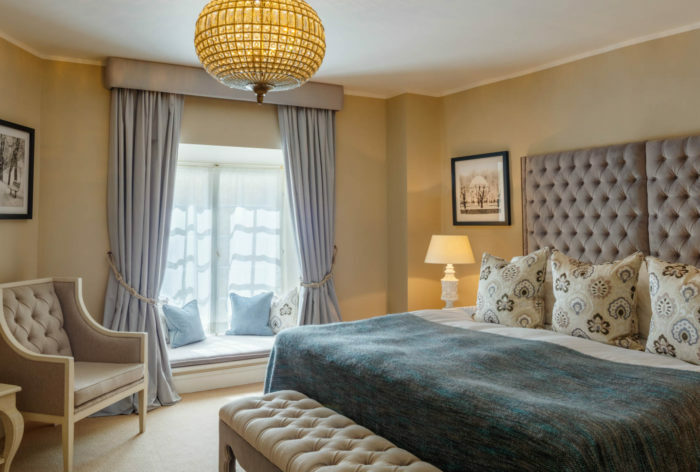 The Deluxe Double/Twin rooms are light and comfortable, with large windows offering views of the courtyard. 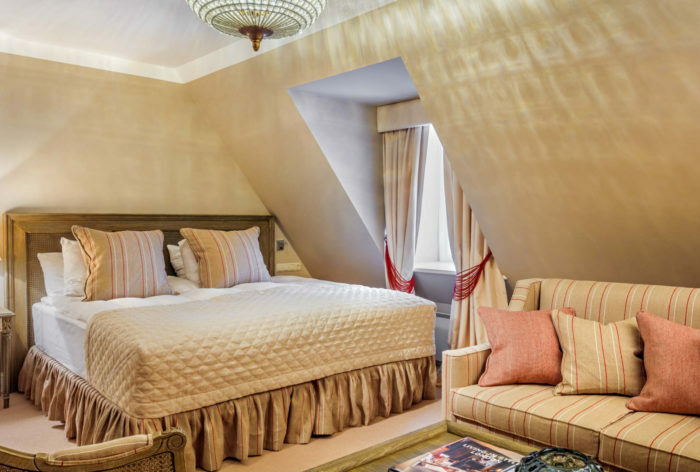 Junior Suites are a spacious rooms with queen-sized bed, and offer a beautiful view of our courtyard. 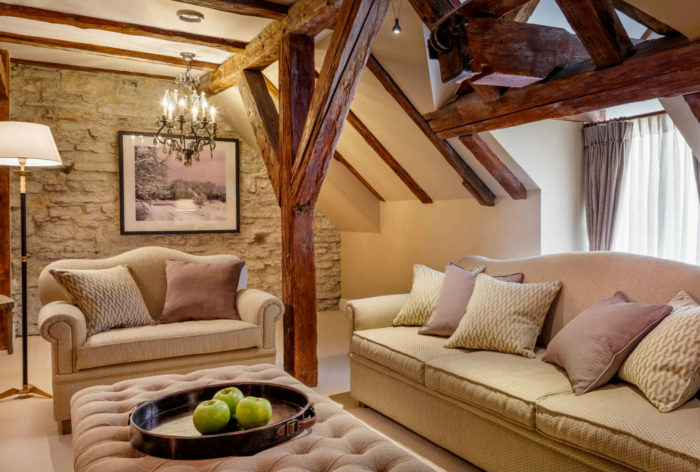 This exquisite Presidental Suite is 90 sq meters with king size bed, and features a lavishly designed living room. 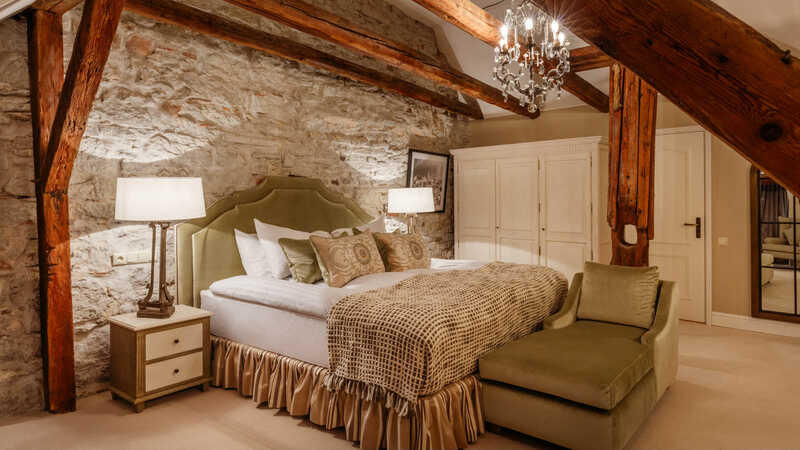 The design of the room pays homage to the heritage of this historical building, but also offers the discerning guest the latest in modern comforts. 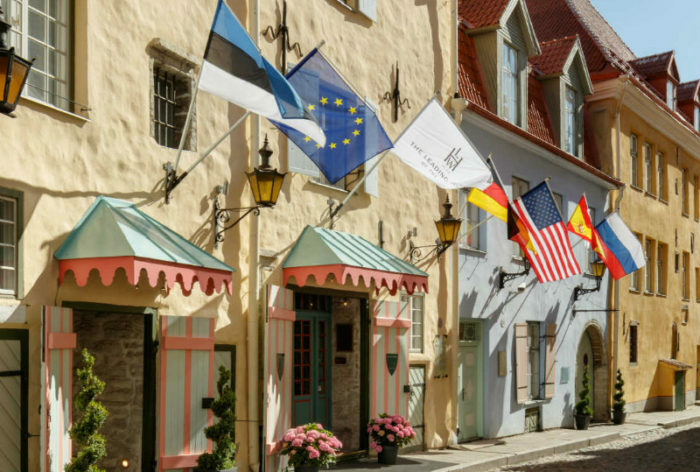 Schlössle hotel rooms & suites have been decorated to reflect the charm of Tallinn’s Old Town. 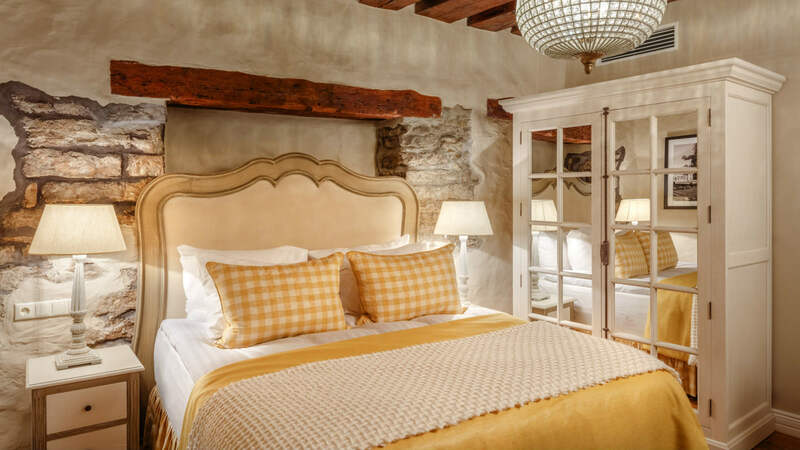 23 rooms & suites are located in the building,which dates back to the Medieval period and its thick stone walls encase massive wooden beams and antique tapestries and furnishings. 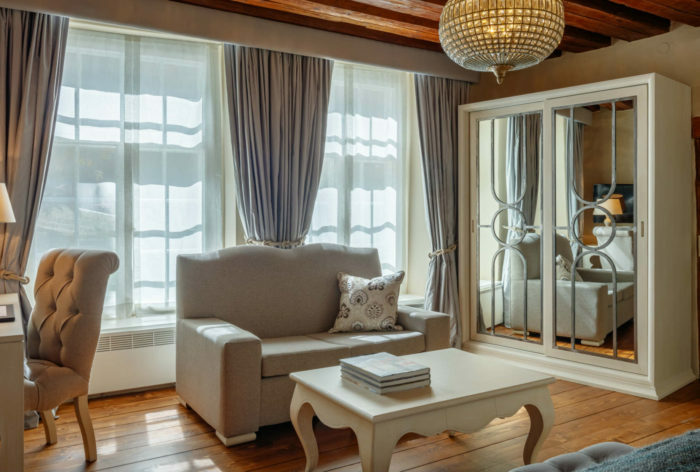 The latest technological appliances have been discreetly integrated throughout the hotel giving guests the height of comfort in an elegant traditional setting. 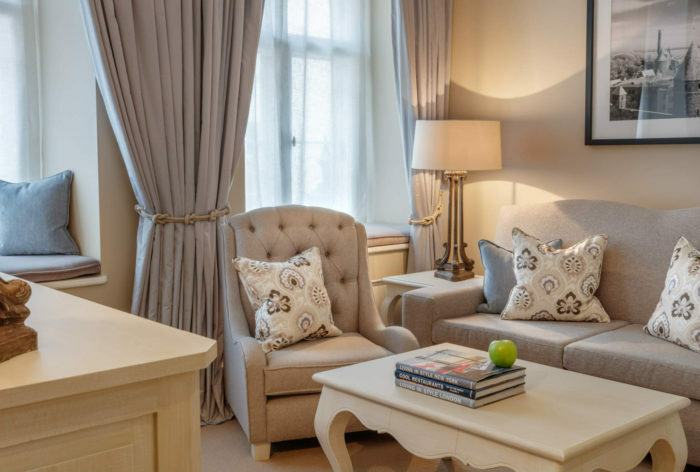 The latest technological appliances have been discreetly integrated throughout the hotel accommodation in Tallinn giving guests the height of comfort in an elegant traditional setting.